Aluminum Jewelry Stackable Tray 14 3/4" x 8 1/4" x 1 1/2"H This felt lined case keeps your valuable collections safe. Can be used for storing accessories, jewelry, glasses, beads, gemstones, and many more. The stackable tray allows you to create your very own jewelry/accessory box. 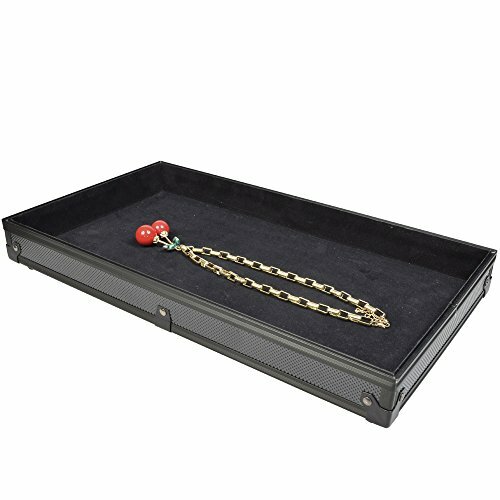 Aluminum Tray allows you to display your jewelry, accessories, beads, gemstones, and more. Felt lined inside to keep keep your valuable collections safe. Jewelry not included. If you have any questions about this product by Ikee Design, contact us by completing and submitting the form below. If you are looking for a specif part number, please include it with your message.